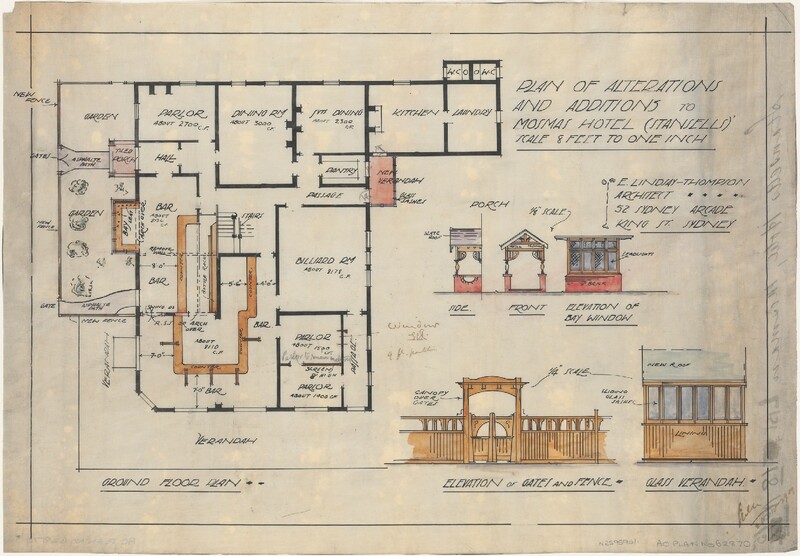 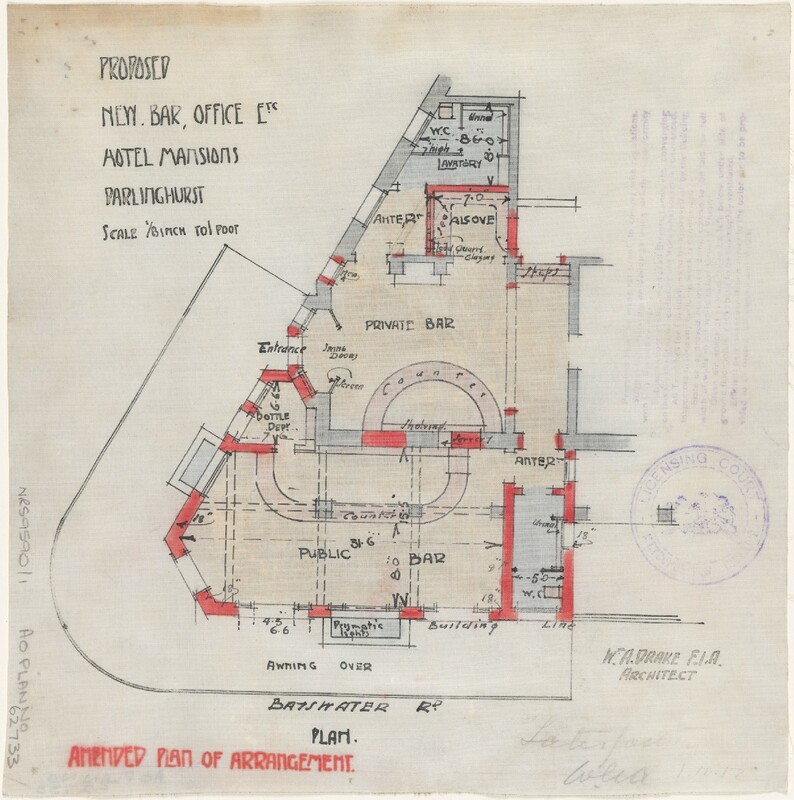 This is a sample of plans from NRS 9590 Plans of Licensed Premises: Hotel Plans. 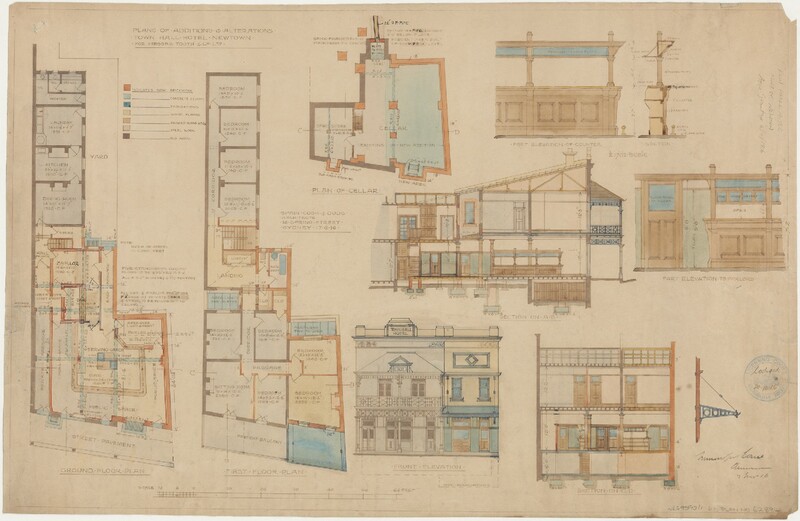 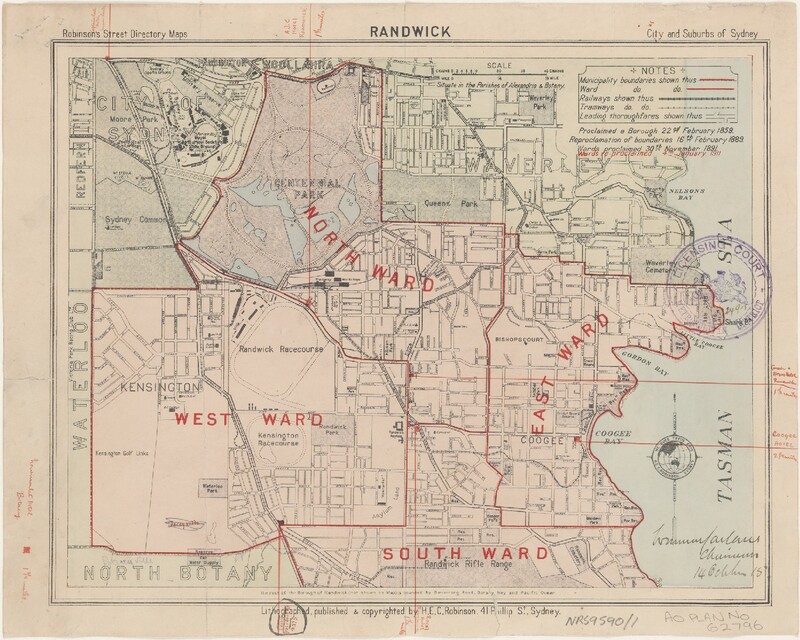 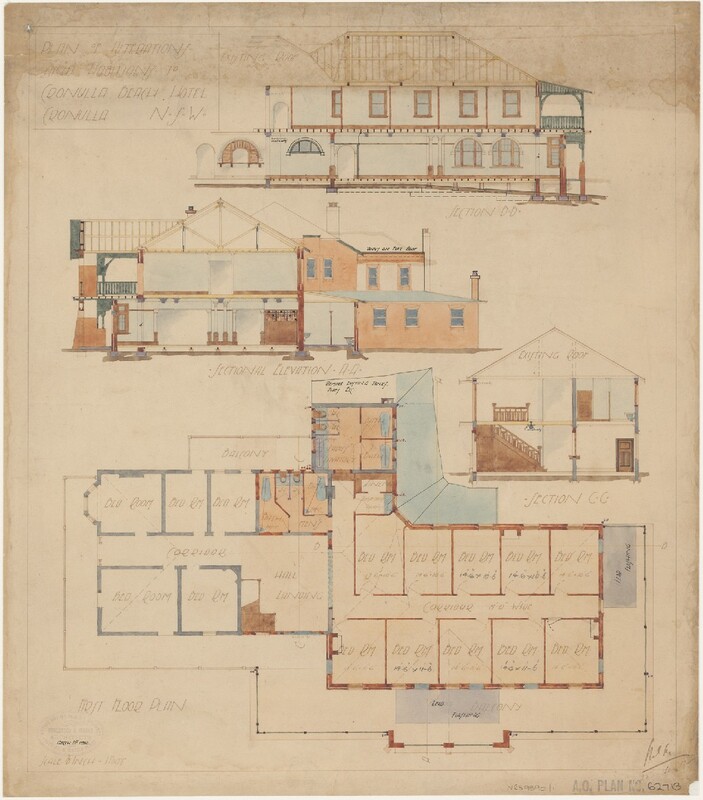 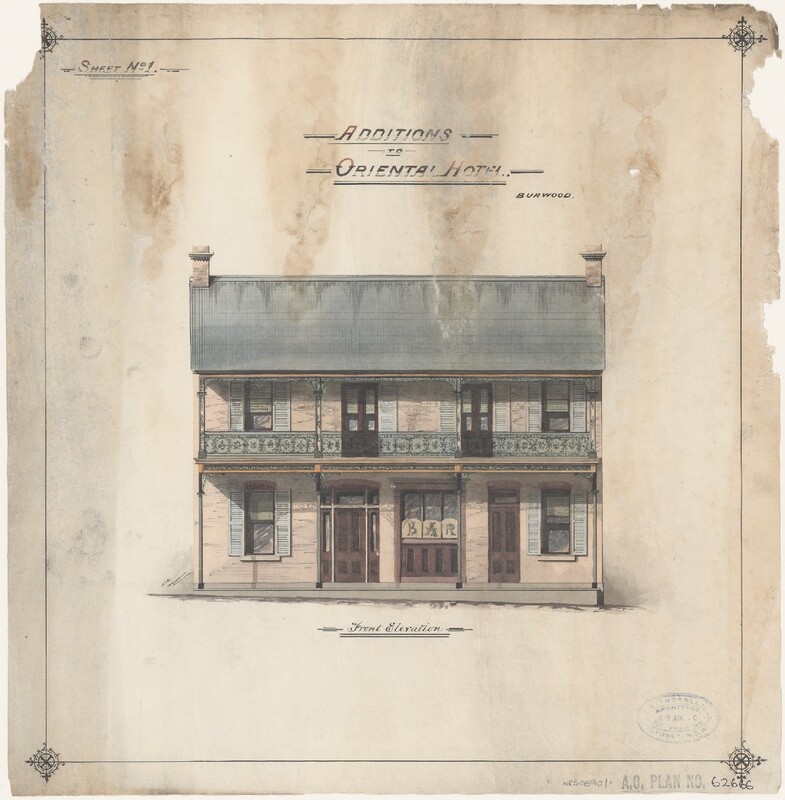 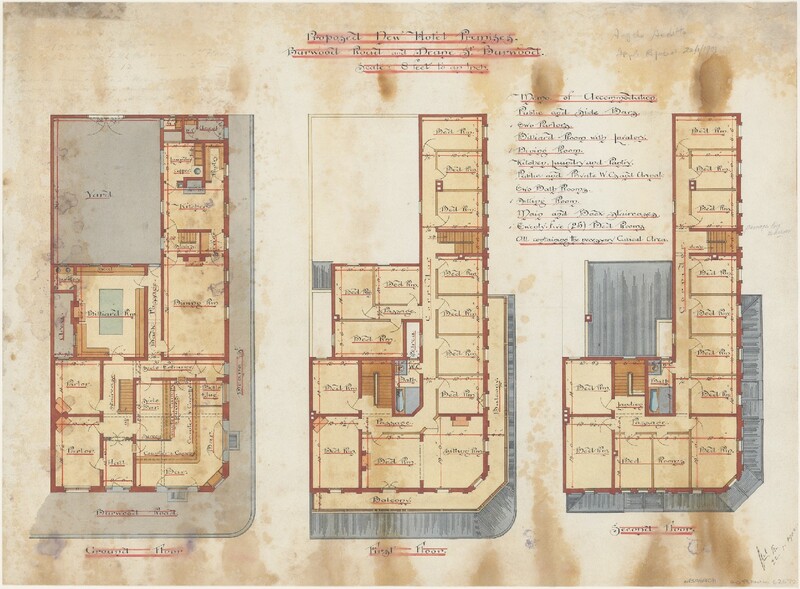 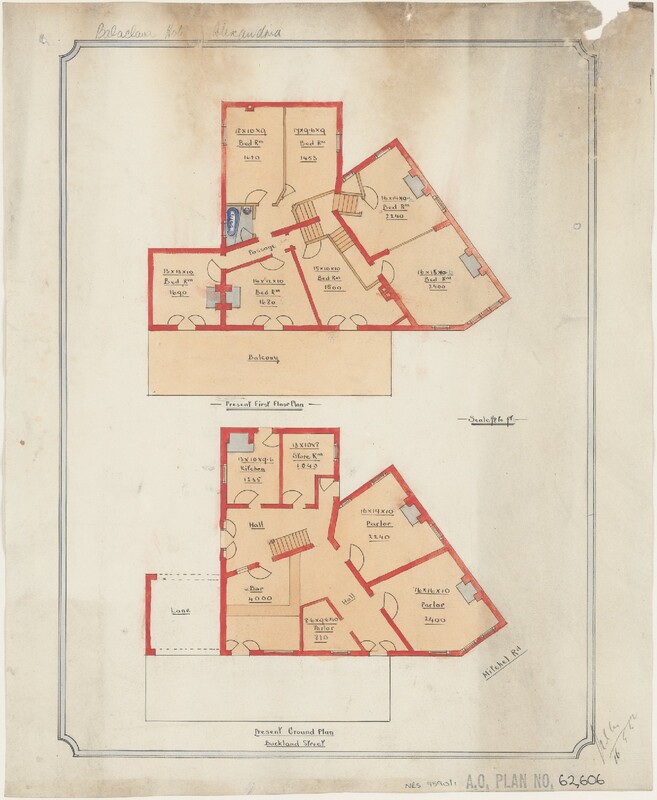 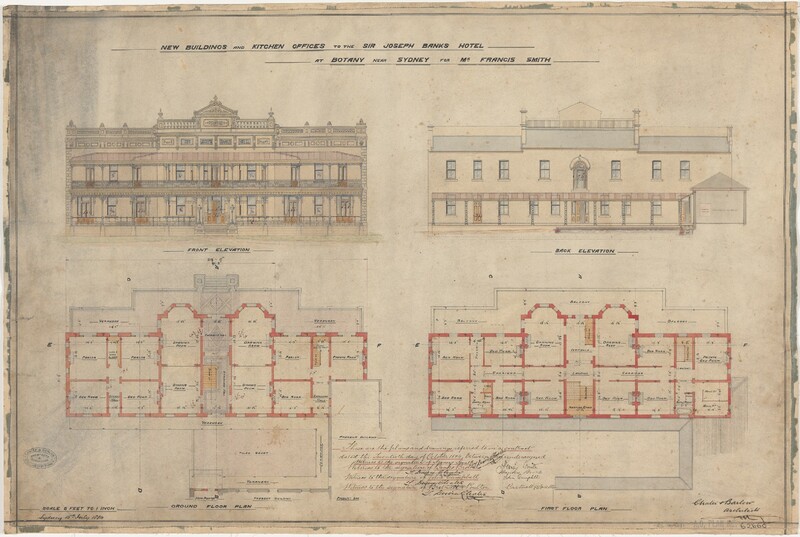 Applications for liquor licenses under An Act to remodel the law relating to publicans and other persons engaged in the sale of liquor, 1881 (45 Victoria Act No 14) and subsequent Acts were to be accompanied by a plan or sketch of the premises. 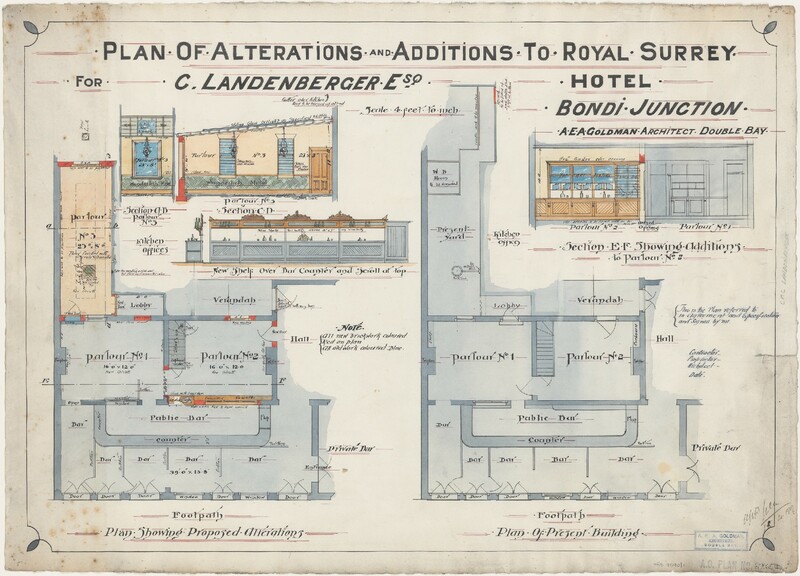 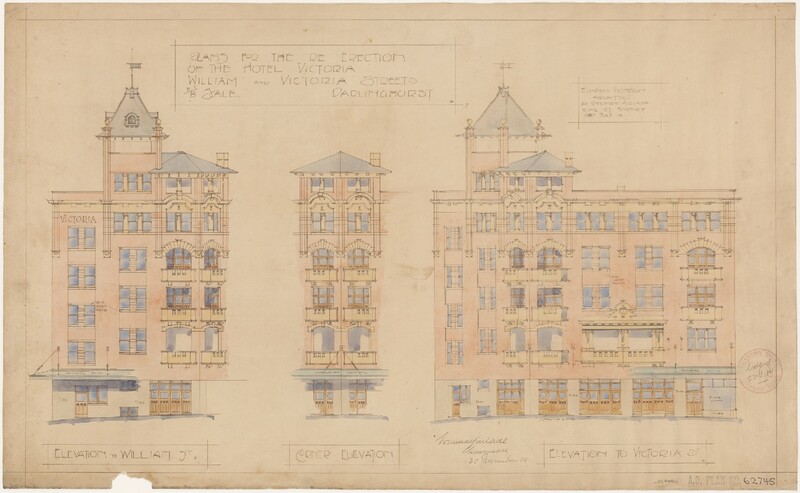 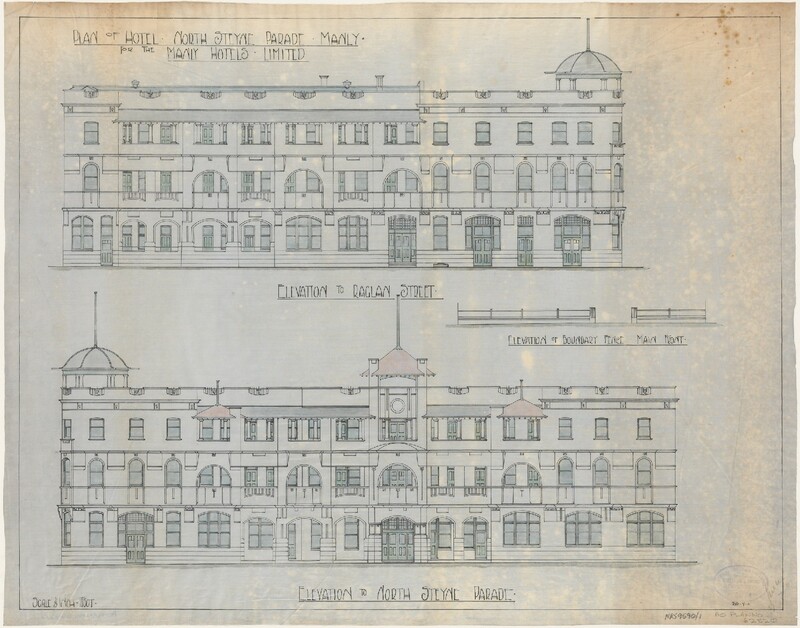 The plans which comprise this series are largely architect's plans of proposed hotels, and major and minor alterations and additions to existing hotels submitted for approval to NSW Licensing Courts in the Sydney Metropolitan District. 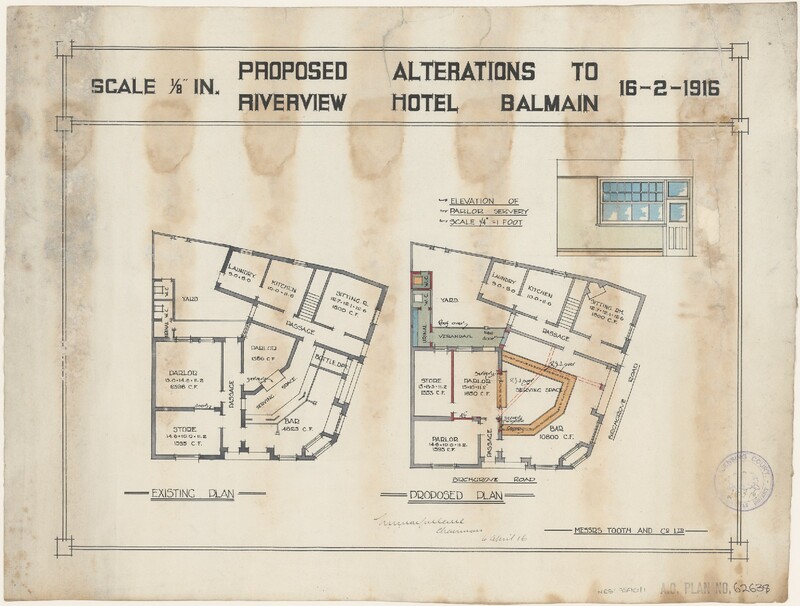 Details vary - usually the plans include name of hotel, locality - town or suburb and street name(s), name of applicant or owner, name of architect, date and scale of plan, type of plan - floor plan, section and elevations, site plan, or details of proposed additions or alterations, and date of approval if given.